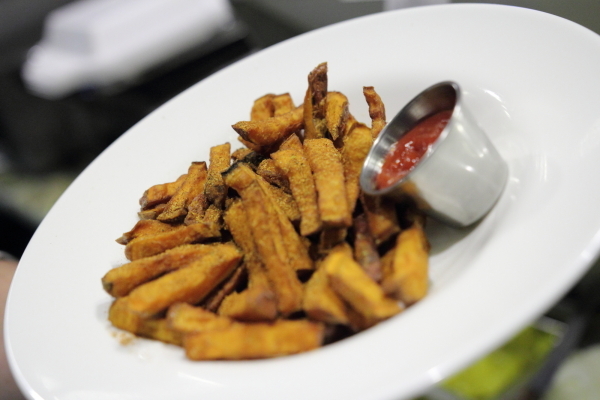 Sweet Potato Fries Our everyday Happy Hour Specials from 5-7pm also gives you $2 off any drink you desire for a great after work cocktail. Whether Eat In or Take Out our extensive menu will suit any cravings you may have. Private and Holiday Parties are always welcomed! Stop by Giovani’s Bar and Grill for ultimate Bar & Grill experience!